MPI’s offers custom ARP studs designed for the specific application. The OE head bolt is designed to stretch as the motor heats up allowing the head to cylinder interface to be a little flexible. This is great for stock care free start up with inexperienced operators. With the addition of boost or high compression to your snowmobile, the soft flexible OE connection is no longer appropriate. 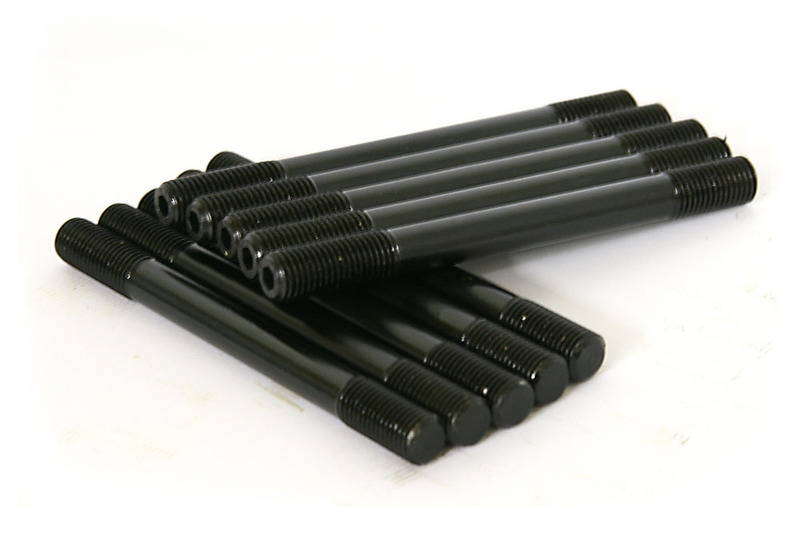 We employ a full 10mm 200,000 PSI hardened stud. The kit includes all new studs. Please note: When using the hardened stud you must allow the motor to reach at least 130deg of water temperature before full throttle operation. 12mm studs are not appropriate because the block will not support the thinner wall of the larger hole.